Welcome to the Birch Cottage at Pine Terrace on Little Saint Germain Lake in Saint Germain, Wisconsin. Come vacation in the North Woods of Wisconsin, where memories are made. To reserve your vacation, call now – (414) 801-9419 – or Click Here! 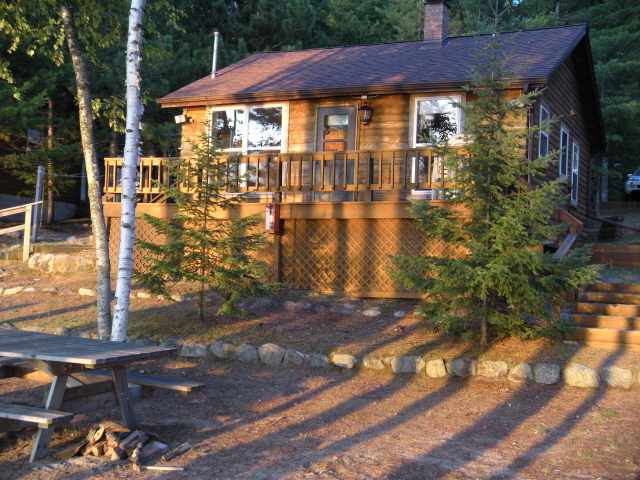 The Birch Cottage at Pine Terrace is located in beautiful St. Germain in the heart of Wisconsin’s North Woods. Nestled under birch, pine and maples, the cottage has level shore frontage on the South Bay of Little St. Germain Lake. 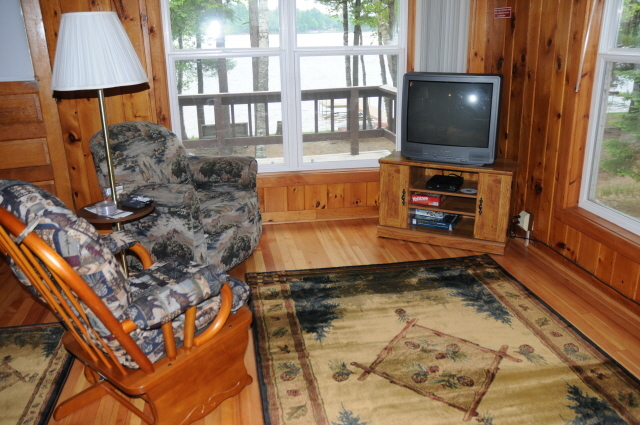 Completely furnished with knotty pine throughout and hardwood floors, the cottage features include two bedrooms with full size beds; sleeper sofa; fully-equipped kitchen and spacious lake view windows. For fun on the lake, a private pier with a 14 foot boat are ready for use. An 8 hp motor is available for rental. 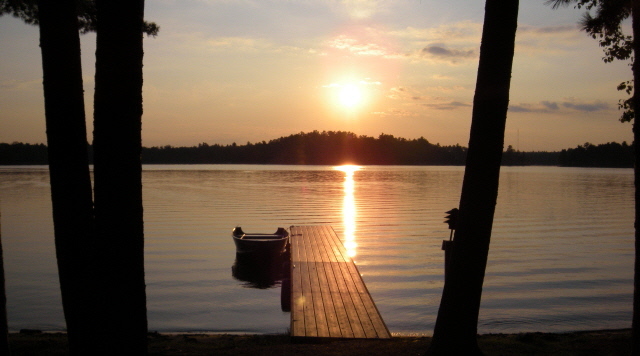 Little St. Germain Lake has more than 950 acres of water with five bays and 14 miles of shoreline. With a diverse fish population, the lake has a reputation for great fishing. Muskie, Walleye and Bluegill are the most popular species along with Northern Pike, Largemouth Bass, Crappie and Perch. Little Saint is one of the top lakes in Vilas County not only for fishing but boating and swimming as well. "Very relaxing, the sunsets are magnificent." "The Birch Cottage is beautiful, we are looking forward to a return visit." "Everything was perfect. We had an awesome vacation at a reasonable price."